The all new Jeep Renegade. Go anywhere the road takes you. Keep going when it runs out. Do we refuse to be beaten on Jeep deals? Absolutely! 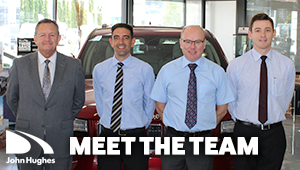 As WA's number one Jeep dealer we pride ourselves on offering you the best possible customer service from the showroom floor - just over the causeway in Victoria Park - to the service centre just up the road in East Victoria Park and at every other point between. We carry the entire Jeep range from the Renegade to the Wrangler to the mighty Grand Cherokee Trackhawk. We also carry an excellent range of pre owned Jeep's in our stock over over 2,000 cars. John Hughes, your car buying destination.